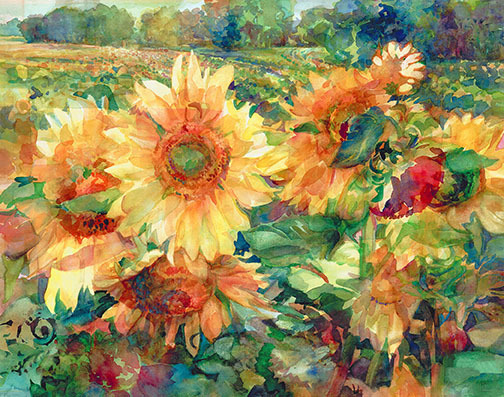 Ellen Jean Diederich is a national award winning watercolor and acrylic painter and workshop instructor from Fargo, North Dakota. Graduating with a B. F.A. in Fine art and a B.A. 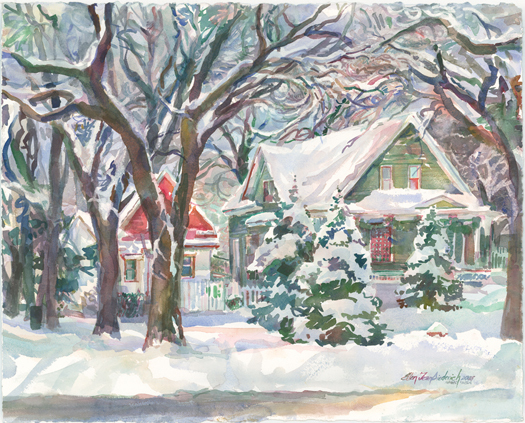 in Art Education from Minnesota State University Moorhead, she has been painting professionally since 1985. 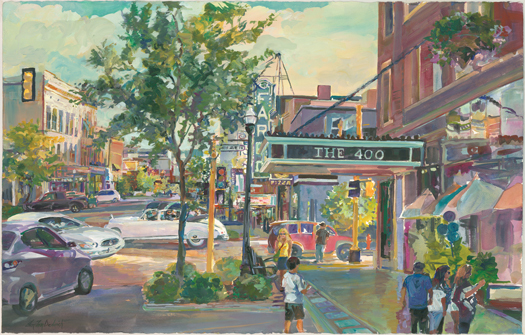 Her rural and city backgrounds play a significant role in her choices of subject matter. 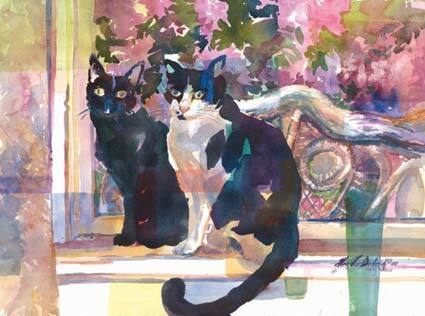 Known for her Neo-Impressionistic style and wonderful use of color, Diederich particularly enjoys painting flowers, architecture and domesticated animals. These varied subjects are often brought forward to create a feeling of intimacy with the viewer. 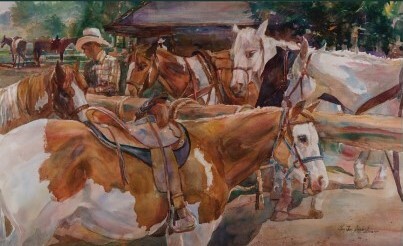 Proud of her Mid-west heritage, Ellen brings sincerity and love to each painting. Visual texture and color are used to build emotion. 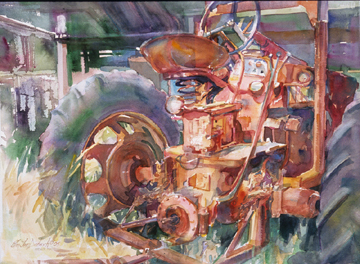 “In watercolor I primarily work wet on dry, mixing the color on the paper in layers and use many paint removal techniques. In acrylic the texture is magnified by the brushwork. In my paintings, layers of paint are connected to the subject by interlocking the edges. These edges enhance depth or lack of relationship. Subjects are often repeated and organized to tell a story or intensify differences in order to display the beauty of diversity” Diederich describes. 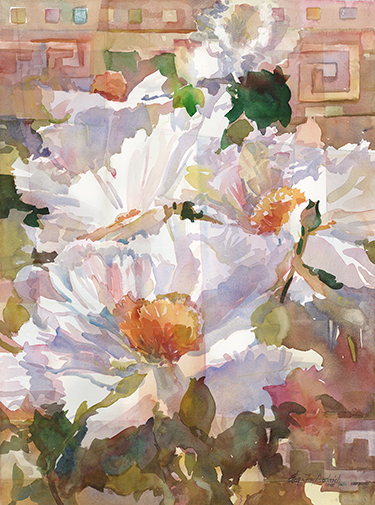 She is a signature member of The Watercolor Society of Alabama, Watercolor West, The Red River Watercolor Society and The Transparent Watercolor Society of America. 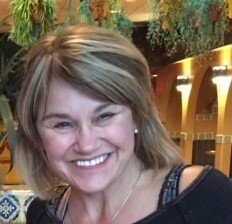 She has also authored and illustrated two Gold Medal Award Winning book “Where’s Petunia?” and “Samson’s Gift” along with her much loved “Progressive Painting – Your Creative Journey”. 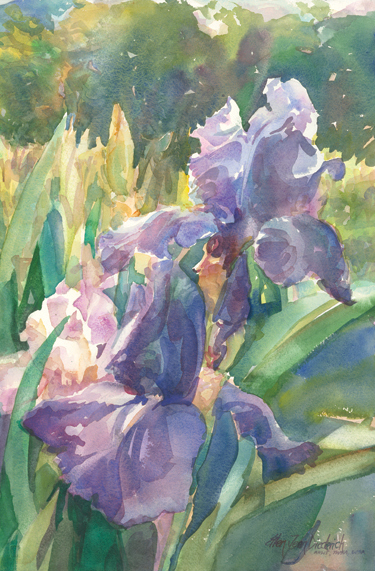 Diederich teaches watercolor workshops and an active speaker and juror. 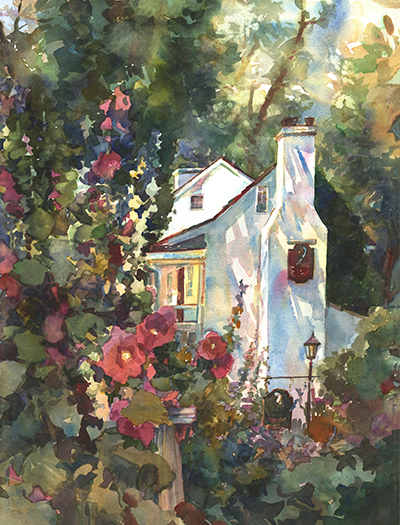 She has won numerous awards in national and international juried exhibitions. 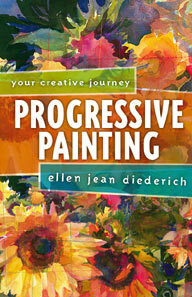 Please go to www.EllenJeanDiederich.com to see more paintings or learn about her work and workshops.